With the internet influencing billions of lives every day, the patterns of internet usage have undergone remarkable changes over the years initiating a powerful shift in business and organizational models in recent times. Here at Digital Nomads, we are very proud to work with companies willing to transform their business and unleash its full potentials. User engagement has changed between 1995 and 2018: the number of users surfing the internet has witnessed a steady increase. Only 0.6% of the world’s population, constituting of 35 million people, used the internet in 1995 while 4.1 billion people or 54% of the population consumed the internet in 2018.As compared to 1995, when 61.0% of the users were constituted of US citizens, 22.0% of them of Europeans, and 12.0% and 5.0% users of Asians and other ethnic population respectively, the figures transformed to 7.0% of US users, 17.0% of Europeans, 49.0% of Asians and 27. 0% of other users in 2018. In terms of language English speaking users dominate the chart, constituting 27.0% of the population while Chinese and Hispanic users formed 21.1% and 8.5% consumers respectively. Speaking of the digital advantage, digitally responsive companies tend to outperform their peers who are less digitally mature. Put simply, digital transformation can be defined as ways of leveraging digital technologies to offer a viable solution to traditional issues, which are an essential part of our quotidian existence. The three pillars of digital transformation can be interpreted as digital strategies, leveraging technology and a clear business impact. What’s Up With Hong Kong’s Digital Landscape? The Hong Kong digital scene revealed 85% of C-Levels in corporations have increased their investment in Machine Intelligence, Cyber Security and App Development. Furthermore, only 50% of the SMEs believe that a digital transformation is a key to their marketing success. 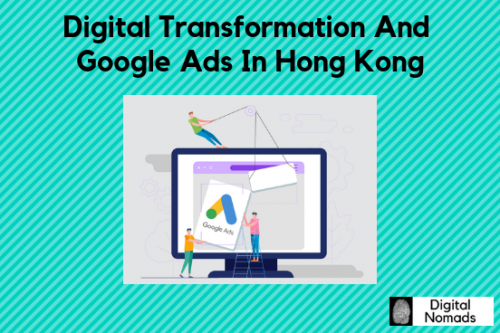 When asked about what the users think about such transformations, 14% of Hong Kong residents opined that their city is successfully leveraging their digital resources, whereas more than 80% of them want improvements in the digital approaches. To tap into the digital potentials of the nation, Hong Kong might consider solutions like an online to offline switch, catering to digital footprints, deploying digital skills and seeking channel management solutions. Many professionals suggest the 5As approach to make a breakthrough in digitalization. This means, as opposed to sticking to 4 steps (Aware, Attitude, Act and Act Again), enterprises can adopt the 5As policy (Aware, Appeal, Ask, Act and Advocate). This shift from 4 As to 5 As has a number of advantages. Unlike the pre-connectivity era which relies greatly on the individual attitude toward the brand, defining loyalty in terms of retention and repurchase, the brand appeal is largely determined by the community surrounding the customer in the connectivity era, translating loyalty into the willingness to advocate a brand. Out of the 7.4 million population in Hong Kong, 5.8 million users spent an average of 1 hour 47 minutes on the internet. Hong Kong’s digital market is dominated by search and the majority of videos are streamed on YouTube. Speaking of visibility on the search engine, the success of Google Ads is mostly determined by quality scores, conversions and optimization. Choosing keywords based on the landing page and the product/ service can be debilitating for your campaign. Negative keywords can be optimized to drive sales. Negative keywords like ‘’free”, “download”, “youtube”, and “demo” can certainly help eradicate unwanted clicks. Another significant way of optimizing keywords is leveraging the keyword insertion, besides having an effective call to action. Executives may integrate their Ads with Ad extensions to improve their CTR and conversion rate. The widely used extensions include Callout Extensions, App Extensions, Price Extensions, Message Extensions, Structured Snippets Extensions, and Promotion Extensions. Subsequently, better quality scores will lead to bigger savings. The challenges involved with unwanted clicks can be controlled using conversion tracking and Google analytics. To introduce analytics to marketing strategies, Google ads must be linked with Google Analytics. The next step is developing goals in Google analytics, which can be optimized based on the prospects of the campaign. Many professional marketers deploy Google Ads reports to generate specific search queries which might have triggered the ads, besides integrating users’ queries with the keywords. Apart from these, the reports have several other functions, from tracking ads performance during the different hours of the day to setting schedule based on the search times. CTR is a major step, governing the success of your campaign. In case the CTR rate is as high as 2%and the campaign is still failing to achieve the desired outcome, chances are that the landing pages are flawed, so a quick review of the landing pages and the prices will settle the deal. To sum things up, the digital campaign requires periodic tracking to configure how it is performing. A comprehensive tracking system will not only divulge the status of the Google Ads but also enable you to stay updated with website related concerns. A campaign, in order to be effective, demands close supervision, so optimizing the campaign regularly will help you eliminate the risks of potential failures, paving the road to a major digital breakthrough. If you would like to know more about digital transformation and Google Ads to grow your business by building a solid qualified lead generation pipeline, please reach out to us and we will be happy to provide you with a free consultation. “Marketing 4.0, Moving From Traditional To Digital”, Philip Kotler. “Digital in 2019 Hong Kong”, We Are Social and Hootsuite.